2018 has resulted in a few changes to the Return On Science Investment Committees. To be able to provide the best support for such a wide range of projects, we are constantly seeking new talent to join our Committees. Vignesh Kumar - has a background in global technology design, and most recently worked for Apple Inc.
Vignesh has joined our ICT Investment Committee. 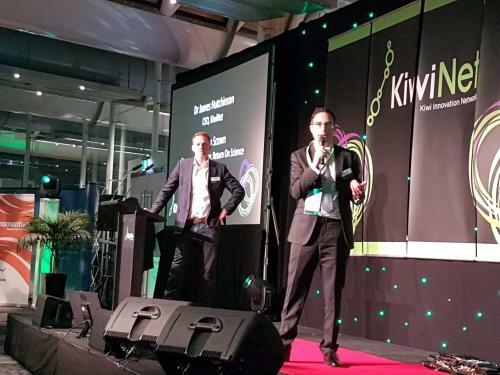 We are very proud of Ian Woodhead, member of our Agritech & Foodtech Committee for being awarded the Royal Society Te Apārangi for advancing electronic engineering, particularly in developing sensors for the agricultural and environmental sectors. Return On Science is now spending friday afternoons in the brand new Unleash Space! The Unleash Space is available for University of Auckland students and staff to 'unleash' their entrepreneurial side. It is courtesy of the University of Auckland's Centre for Innovation and Entrepreneurship. Return On Science will be there to promote commercial activities and entrepreneurship in the student members and to help guide them through the initial stages of building their enterprise! So come on down to this awesome space and chat with us!